Neste sábado, on the 20, o Urban Traces Movement promoveu mais um encontro em prol da requalificação do setor leste do Centro Histórico de Florianópolis, região batizada de Distrito Criativo pelo Movimento, o evento foi realizado na pré-incubadora Cocreation Lab do Centro Sapiens e foi mediado pelo grupo VIA Estação Conhecimento. 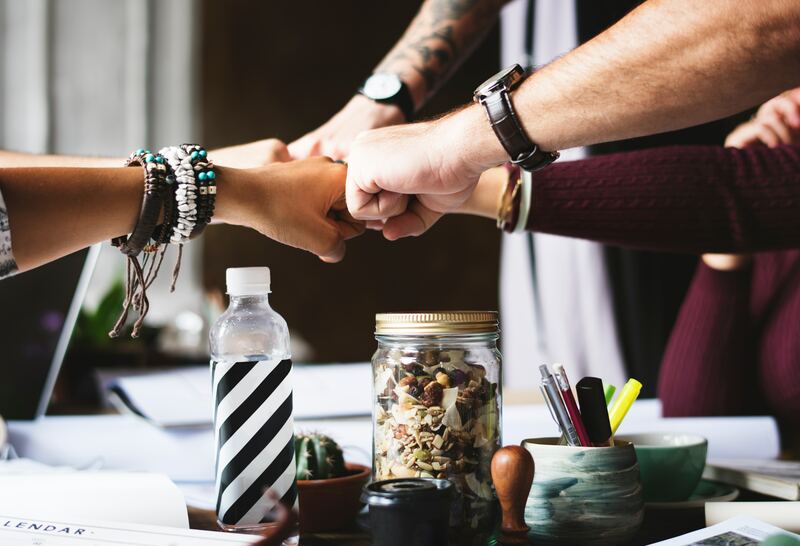 O encontro englobou uma “Oficina de Prototipagem” que teve como principal objetivo resultar em projetos efêmeros que posteriormente vão ser concretizados para serem implantados em regiões já estabelecidas, especificamente, nas ruas: Victor Meireles, Saldanha Marinho, Tiradentes, Antônio Luz e João Pinto. 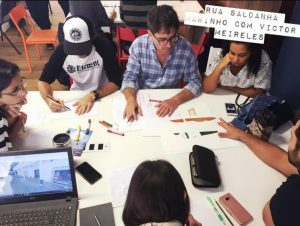 Para a elaboração desses projetos, foi reunido alunos e professores dos cursos de Design de Produto da Udesc – Universidade do Estado de Santa Catarina, de Design Gráfico da peat,,fy,Rua Santos Dumont,,pt,YOU'RE INVITED,,pt,THE BALCONY,,pt,Next week,,pt,the course of Design Energy School will be promoting the Academic Design Week,,pt,Graphic Arts - REMOVED,,es,During the evenings,,pt,there will be lectures,,pt,workshops e,,en,not Multipurpose Center,,es – Faculdade Energia, and Architecture and Urban Planning,,pt,besides the staff of URBE and own Urban Traces,,pt,The dynamic was based on the methodology of,,pt,at where,,pt,teams have gone through three phases,,pt,Immersion Phase,,pt,Identify what each group member can contribute to the project as specialties,,pt,= architecture urban environment,,pt,graphic design = signaling,,pt,meaning artefacts,,pt,abstract concepts,,pt,Product designer = creation and product development,,pt,raising needs and opportunities that will guide the generation of solutions in the next phase of the project from proposals brought from UDESC,,pt,Phase ideation,,pt,Perform,,es,to the ambiance solutions as location of the bridges UDESC projects,,pt,Phase prototyping,,pt UNISUL – Federal University, além do pessoal da URBE e do próprio Traços Urbanos. 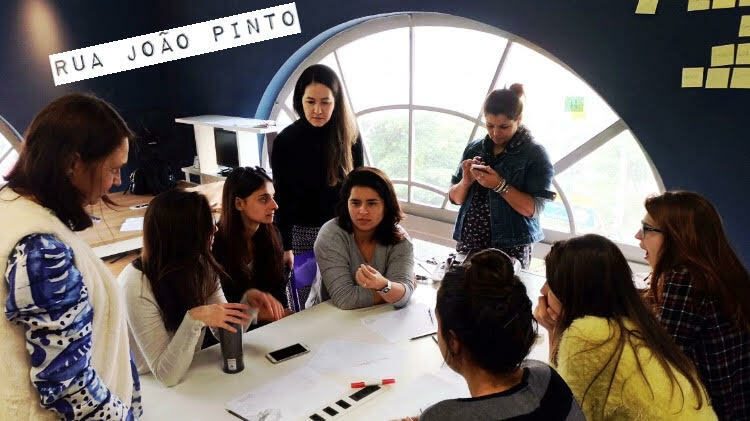 Team: Clodine Alves (UNISUL), Stephanie Borges (UNISUL), Ana Schenkel (UDESC), Jéssica Amarante (peat,,fy,Rua Santos Dumont,,pt,YOU'RE INVITED,,pt,THE BALCONY,,pt,Next week,,pt,the course of Design Energy School will be promoting the Academic Design Week,,pt,Graphic Arts - REMOVED,,es,During the evenings,,pt,there will be lectures,,pt,workshops e,,en,not Multipurpose Center,,es), Angela Marschall (URBE), Silas Azevedo (UNISUL), Mariana Passos (peat,,fy,Rua Santos Dumont,,pt,YOU'RE INVITED,,pt,THE BALCONY,,pt,Next week,,pt,the course of Design Energy School will be promoting the Academic Design Week,,pt,Graphic Arts - REMOVED,,es,During the evenings,,pt,there will be lectures,,pt,workshops e,,en,not Multipurpose Center,,es) e Maiara Camillo (UDESC). 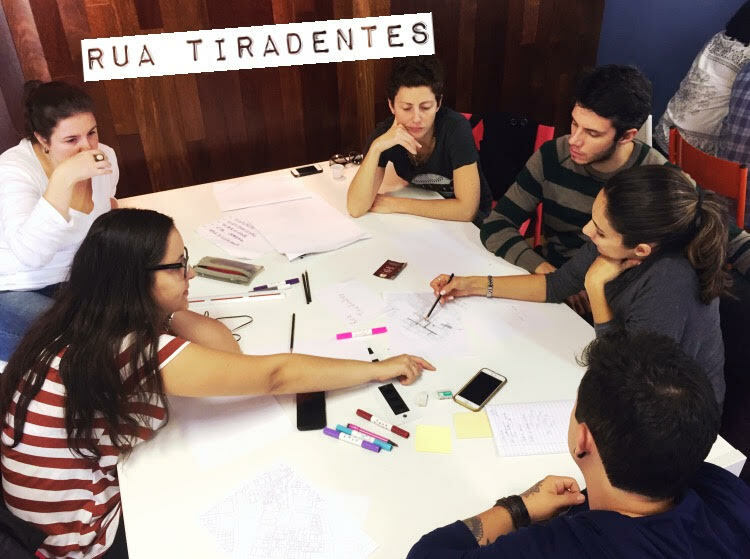 Team: Wanessa Vieira (UNISUL), Mateus Felippe (UNISUL), Graziella Carrara (peat,,fy,Rua Santos Dumont,,pt,YOU'RE INVITED,,pt,THE BALCONY,,pt,Next week,,pt,the course of Design Energy School will be promoting the Academic Design Week,,pt,Graphic Arts - REMOVED,,es,During the evenings,,pt,there will be lectures,,pt,workshops e,,en,not Multipurpose Center,,es), Ana Luíza Zabotti (Urban Traces), Sophia Garcia (UDESC), Guilherme Serafini,,en,by Manulea Cordeiro,,sm,Analysis of the Central Region,,pt,flows,,pt,occupations,,pt,patrimony,,pt,research references from other cities,,pt,think of interventions proposing improvements to flow problems,,pt,conflicts between pedestrians X vehicles,,pt,Local unused or misused,,pt,making a living and accessible to all city,,pt,Saldanha Marinho with Victor Meireles,,pt,Maria Eduarda Seropião,,el,Paula Cury,,pt,Alice dos Santos,,pt,Luciano uniform,,su,Heloisa Nunes,,pt,e Sophia Garcia,,en,The project comprises the area of ​​Saldanha Marinho which is closed to cars and is located in front of the Energy college,,pt (peat,,fy,Rua Santos Dumont,,pt,YOU'RE INVITED,,pt,THE BALCONY,,pt,Next week,,pt,the course of Design Energy School will be promoting the Academic Design Week,,pt,Graphic Arts - REMOVED,,es,During the evenings,,pt,there will be lectures,,pt,workshops e,,en,not Multipurpose Center,,es) e Manulea Cordeiro (UNISUL). Team: Maria Eduarda Seropião (peat,,fy,Rua Santos Dumont,,pt,YOU'RE INVITED,,pt,THE BALCONY,,pt,Next week,,pt,the course of Design Energy School will be promoting the Academic Design Week,,pt,Graphic Arts - REMOVED,,es,During the evenings,,pt,there will be lectures,,pt,workshops e,,en,not Multipurpose Center,,es), Paula Cury (URBE), Alice dos Santos (UNISUL), Luciano Saragem (UNISUL), Heloisa Nunes (UDESC), Ana Schenkel (UDESC) e Sophia Garcia (UDESC). Resultado: O projeto compreende a área da Saldanha Marinho que fica fechada para carros e fica localizada em frente à faculdade Energia. The project consists in building a platform that evens the street and ends with a ladder at the bottom and a gap in the middle of the stage to serve as a bank for the regulars of the place,,pt,The platform will feature trees under illumination,,pt,large cans of paint to be used as benches and a tube format that will give directions to the Victor Meireles Museum,,pt,on the corner opposite will have a totem with information about the museum,,pt,Antônio Luz,,pt,Daniela,,en,city,,la,Augusto,,en,Rafael Akira,,es,Climb,,vi,Cecilia,,pt,Juliana,,en,Roberto,,en,and Giovana,,pt,The design of the necessary connections in the street Antônio Luz,,pt,Fernando Machado between the square and the strong Santa Barbara,,pt,between the sleepers and to the terminal,,pt. O tablado vai contar com árvores com iluminação embaixo, latas grandes de tinta para serem usadas como bancos e um formato de bisnaga que dará indicações para o Museu Victor Meireles. Besides that, na esquina em frente terá um totem com informações sobre o museu. 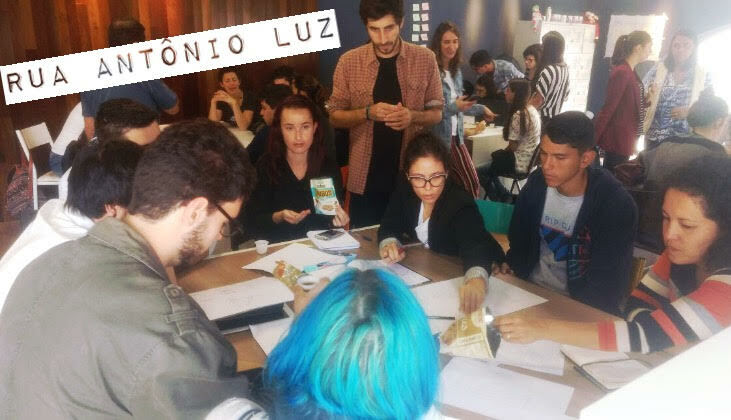 Team: Daniela (Urbe), Augusto (peat,,fy,Rua Santos Dumont,,pt,YOU'RE INVITED,,pt,THE BALCONY,,pt,Next week,,pt,the course of Design Energy School will be promoting the Academic Design Week,,pt,Graphic Arts - REMOVED,,es,During the evenings,,pt,there will be lectures,,pt,workshops e,,en,not Multipurpose Center,,es), Rafael Akira (UDESC), Léo (UDESC), Cecília (UDESC), Juliana (Energia), Roberto (UNISUL) e Giovana (UNISUL). Resultado: O projeto parte das conexões necessárias na rua Antônio Luz: entre a praça Fernando Machado e o forte Santa Bárbara, e entre as travessas até o terminal. The idea is to bring attention and give permanence spaces for users who already frequent the site,,pt,Value was used as the remnants of Burle Marx sidewalk design,,pt,a heritage that has visually connects the museum there this,,pt,To achieve these goals,,pt,will be built furniture that supports local businesses,,pt,activating the street and making it more inviting to the permanence of others,,pt,The idea is that these projects born in the workshop should be achieved within a short time,,pt,With the efforts and collaboration of the movement urban traits and partnership of interested in doing a better creative center of our city,,pt. Foi utilizado como valor os resquícios do desenho da calçada de Burle Marx, um patrimônio que já conecta visualmente o museu ali presente. Para atingir esses objetivos, será construído um mobiliário que dê suporte ao comércio local, ativando a rua e tornando-a mais convidativa para a permanência de outras pessoas. A ideia é que esses projetos nascidos na oficina sejam concretizados dentro de pouco tempo. Com os esforços e colaboração do movimento traços urbanos e a parceria dos interessados em fazer um centro criativo mais adequado à nossa cidade, it is intended to start the urban project of Saldanha Marinho street with Vitor Meireles,,pt,making use of all the projects resulting from the workshop as a source of inspiration for an executive project,,pt,Thus a first intervensão,,pt,successful that,,pt,open space and strengthen the Movement Urban Traces for more interventions in other parts of the creative center,,pt,It is planned intervention with an ephemeral exhibition of prototypes projects created and used in the workshop,,pt,the Museum hall of the Santa Catarina School and traveling in stitches creative center used as inspiration for projects,,pt,Kickback Workshop,,pt,published in,,pt, fazendo uso de todos os projetos resultantes da oficina como fonte inspiradora para um projeto executivo. Sendo assim uma primeira intervensão, que se bem sucedida, abrirá espaço e fortalecerá o Movimento Traços Urbanos para mais intervenções nos demais pontos do centro criativo. Besides that, é planejada uma intervenção efêmera com exposição dos protótipos projetos criados e usados na oficina, no hall do Museu da Escola Catarinense e de forma itinerante nos pontos do centro criativo usados como inspiração para os projetos.